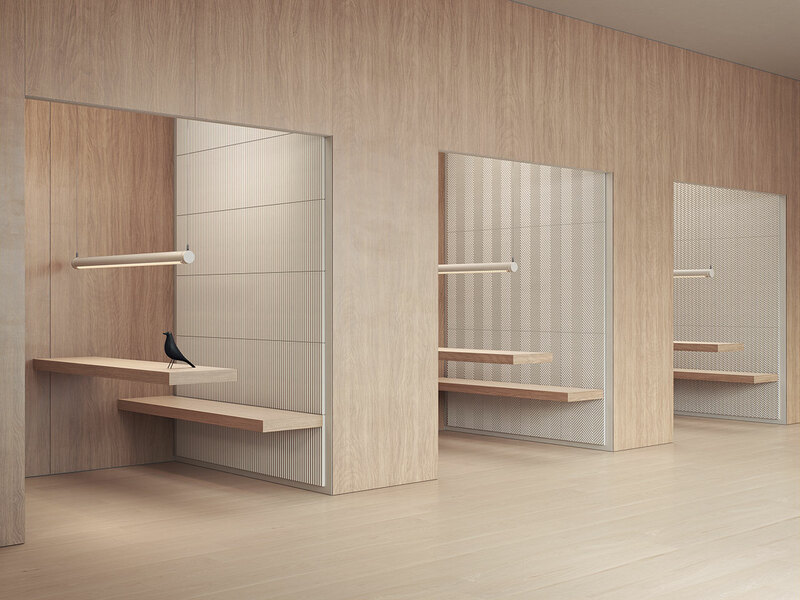 Performance sound absorption properties with modern aesthetics. BAUX is excited to announce a new kind of material. Acoustic Pulp is defined by sustainability, and push forward what's possible in an acoustical product. Acoustic Pulp is 100% bio-based and made using environmentally friendly materials: recycled water, non-GMO wheat bran, potato starch, plant-derived wax, and citrus fruit peels. All with zero chemicals. 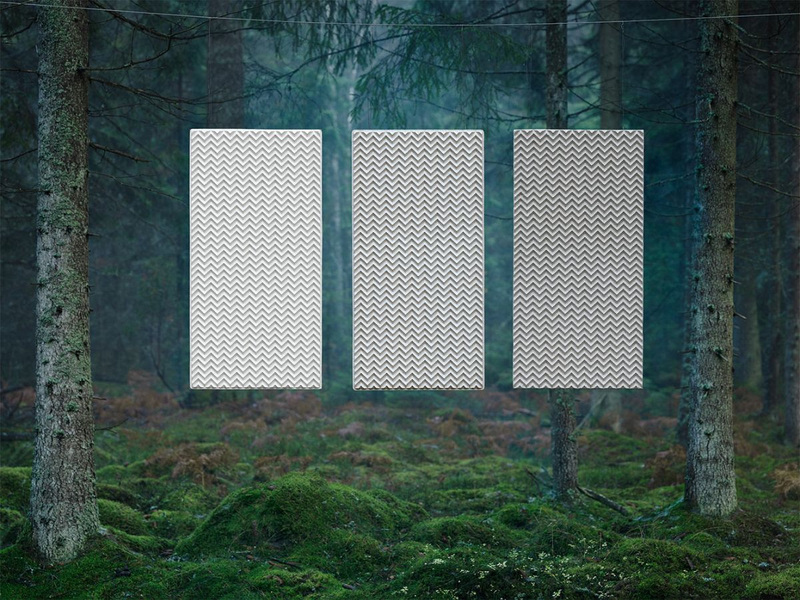 As an experiment, BAUX put Acoustical Pulp panels back into the Swedish forest they were first derived from, to see how wild animals would interact with them. Experience the full story here. To achieve enhanced sound absorption, the surface each panel is then nano-perforated using an advanced laser technique. This allows sound to enter an internal honeycomb structure, where it becomes trapped and dissipates. Available in three origami-inspired patterns. Color isn't defined by paint, but by varying the amount of wheat bran from 0-30% for a natural appearance. 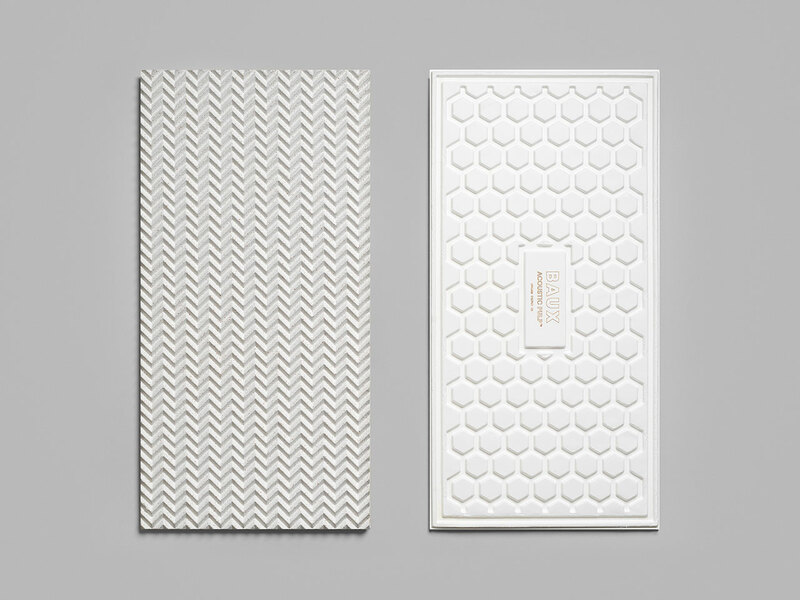 Loop Architectural Materials is your local representative of BAUX. If you have any questions, want a sample, or would like a presentation, do not hesitate to contact us.